way of life. Capt. Jimmy Moore and his wife, Capt. 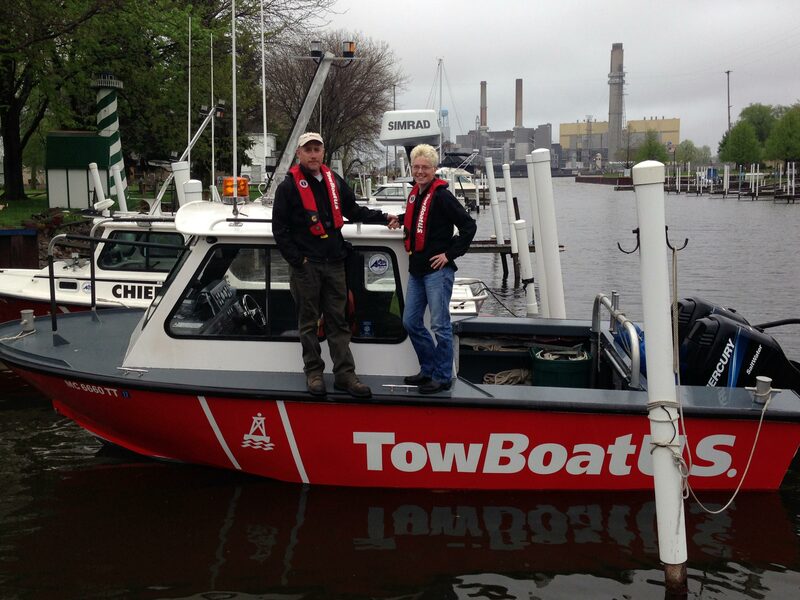 Sara Moore, have become the new owners of TowBoatUS Bay City, an on water towing and assistance service for recreational boaters. This is the Moores’ third TowBoatUS business along the Michigan shores of Lake Huron and one of 38 Great Lakes TowBoatUS locations. The Moores, along with Jimmy’s brother Jeff, a captain who plays a behind-the-scenes role in the towing companies, have been operating the TowBoatUS ports on the thumb of Michigan at Port Austin and at Sand Point in Caseville for the last five years. They purchased the Bay City port, at the southern end of Saginaw Bay in April from longtime operator Capt. Gary Poirer. Poirer and many of the captains who worked for him will continue to run the company’s boats, so Bay City boaters who call TowBoatUS for help are likely to see a familiar face when the assist boat arrives. 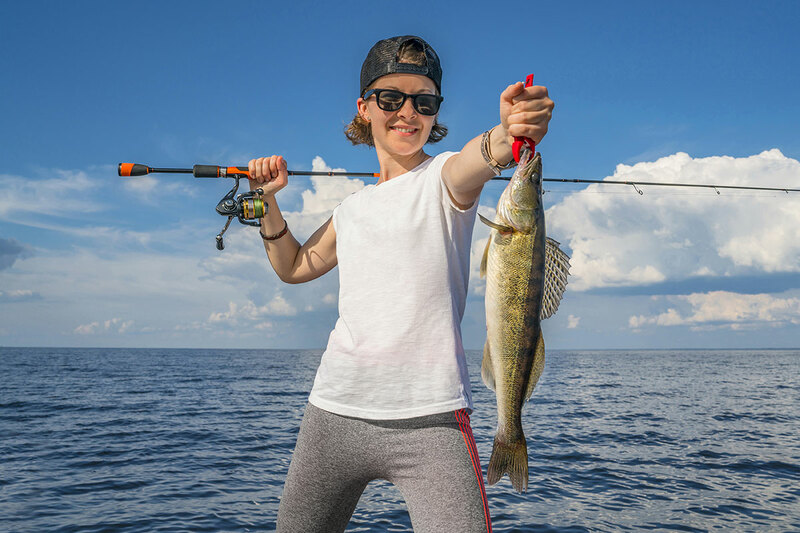 Much like an auto club for boaters, TowBoatUS offers on water towing plans for freshwater boaters and anglers for just $72 a year that includes BoatUS membership. 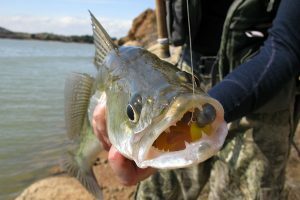 Without a towing plan, boaters face costs that average $750 per incident nationally. Capt. 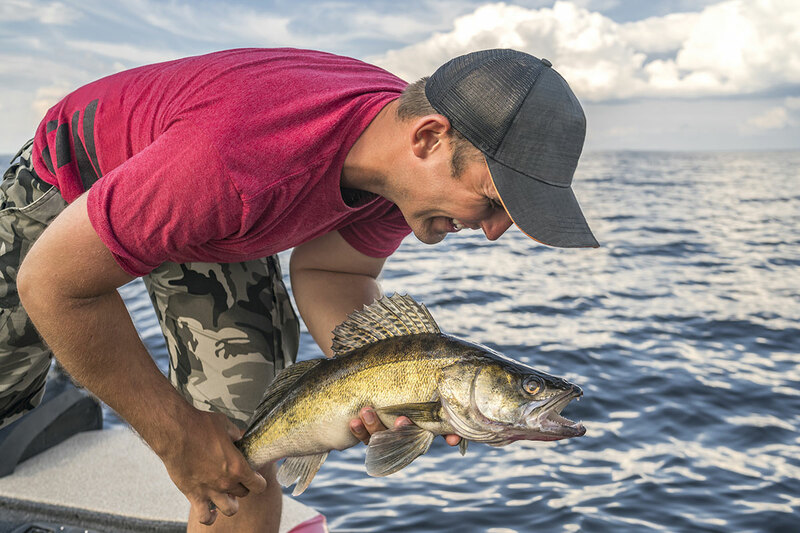 Jimmy Moore has been boating on Michigan waters since he was in diapers. He began his professional career as a merchant mariner, working on ships, dredges, and tugboats, sometimes aboard the same ship as his wife Sara, also a licensed merchant mariner who worked in engine rooms. When it was time to start a family, the Moores moved back to Michigan. 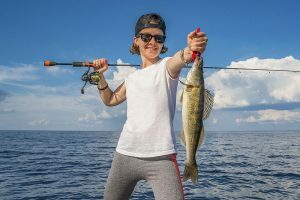 Not surprisingly, their children, Kate, 19, who will get her US Coast Guard captain’s license this year, and her brother Everett, 17, are both savvy boat wranglers and help out with the business. All captains, including Jimmy and Sara, have USCG licenses with towing endorsements. The Moores are keeping two assist boats in Bay City, a 26-foot custom-built Stanley aluminum hardtop with a powerful 454 Mercruiser inboard/outboard and a 23-foot SeaArk with twin 115-horsepower outboards. The boats are docked on the Sunset Shores Waterway off the mouth of the Saginaw River across from the Bay City Yacht Club. To see the location on a map go to BoatUS.com/baycity. The company stations one additional boat at each of their other TowBoatUS ports, and they move boats around as necessary. 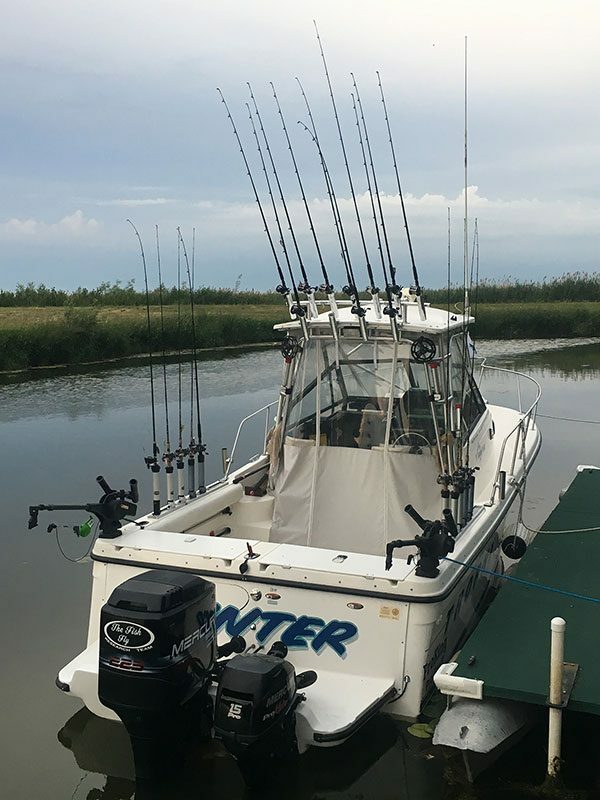 “This means we can lend a hand to boaters who have a breakdown, run aground or need some fuel anywhere on Saginaw Bay, 24 hours a day, seven days a week, and we can get there quickly,” Capt. Jimmy said. All boats are painted a distinctive red with TowBoatUS lettering and white bow stripes on each side. They are fully equipped for towing and salvage with dewatering pumps, dive gear, lift bags, towing gear, battery jump packs and extra fuel. TowBoatUS Bay City can be hailed on VHF channel 16 or reached by calling the Moores directly at 989-315-1233 or by calling the BoatUS toll-free 24/7 Dispatch Center at 800-391-4869, and via smartphone with the free BoatUS Towing App. BoatUS is also the only towing service that offers services with both SPOT and DeLorme inReach satellite communication devices. More information can be found at BoatUS.com/towing or call 800-888-4869.